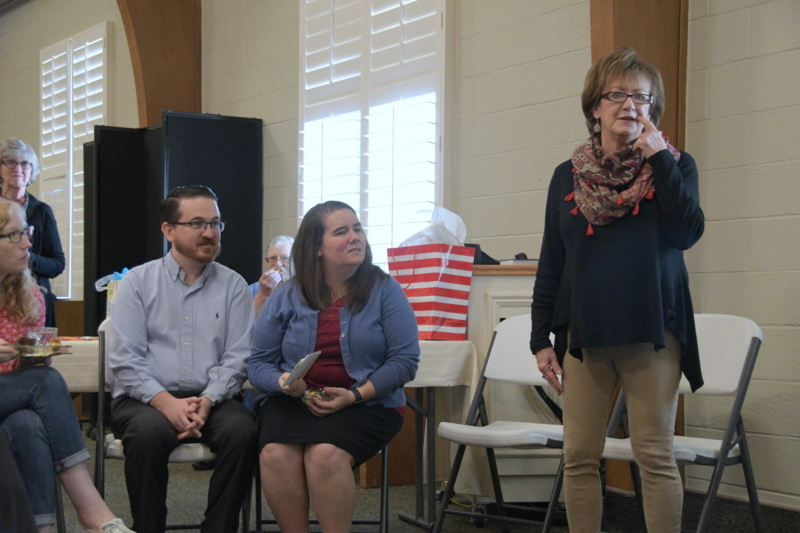 Pastor Appreciation month was observed on Sunday, October 23rd, with a reception following worship honoring Lisa. Cindy Fry presented Lisa and Austin a gift from the session and many additional gifts were left in a gift basket to show, if in a small way, how the congregation appreciates what Pastor Lisa is doing both in the congregation and in the greater community. Both the presentation and Lisa’s sharing one of the cards with a young member are shown.